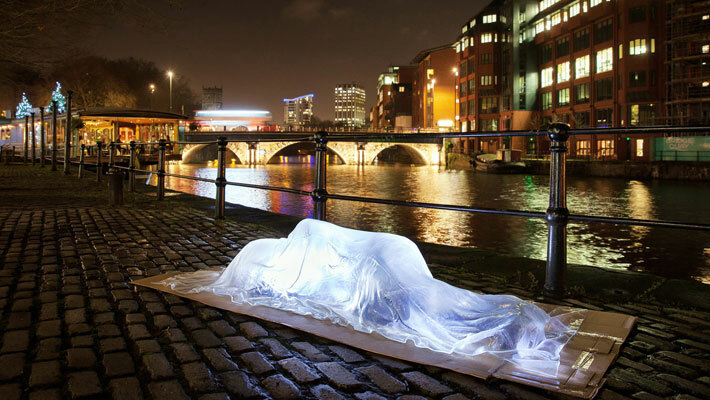 Made as part of an Arts Council funded residency at the Glass Hub, this life size sleeping glass figure is designed to highlight the growing number of ‘invisible’ homeless in the UK. 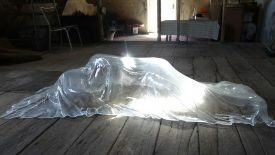 Shrouded in a glass blanket, the vulnerable and fragile form calls attention to the treatment of homeless individuals, in particular our tendency to overlook them as we go about our daily lives. 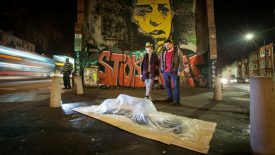 The ghost-like figure represents not only the ignored individuals sleeping on the streets, but also those stuck in hostels, squats or other forms of sub-standard housing. 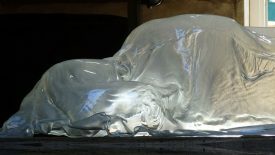 The piece is currently exhibited indefinitely in our Courtyard from 8 July 2016. 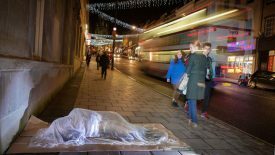 Jerram would appreciate if visitors donated to the Early Doors Campaign, an initiative by homeless charity 1625 Independent People. The project aims to help young people earlier through mediation and advice services, helping them to avoid becoming homeless in the future. If you would like to donate, text “DOOR15” and how much you want to give to 70070. We also have a collection box at reception for the local Forge Project as part of North Lincolnshire Council, Safer Neighbourhoods and Humberside Police partnership to help the homeless.